August 5 , by Mardi Robyn. 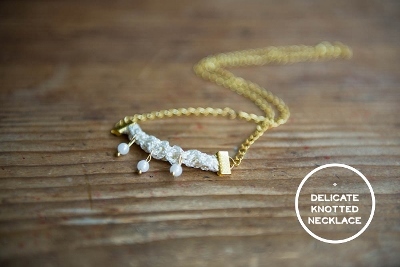 When I saw this necklace my first thought was “Wow!” It looks delicate and dainty. This necklace can be worn with both casual an formal outfits. Daria inspiration for this crown sinnet knotted necklace came from the popular friendship bracelets and nautical knot trends. This jewelry piece can be worn as a necklace or wrap around bracelet. Check it out!